Being a good designer is not only about being an expert in designing, but all using the latest technologies which can finish your work quality and flawlessly. Thankfully, with the help of modern software and techniques, you can now easily design and give it a three-dimensional shape. Google Sketchup is one such software that is being used by interior designers and architects to create outstanding and staggering designs which are close to reality. It finds application in a wide range of drawing applications like interior designs, architectural designs, landscape architecture, mechanical and civil engineering. Cadd Centre & Dream Zone Alambagh Or Hazratganj brings a recognized institute where you can learn all the latest software Courses that would be helpful for you and also enable you to improvise your designs. Initially, this software was developed in 2000, however, in 2006 it was taken over by Google, and henceforth we popularly know it as Google Sketchup. The primary objective behind the development of this software was to create a platform which can help the designers and architect to designs which are close to reality. It allows the users to maneuver the design which is otherwise difficult to do in 3D modeling programs. It’s easy to use features make it even more popular. With the help of this software, you can quickly generate the 3D model and explain your ideas. The crux of the matter is that Google Sketchup is an easy way to design 3D models which are flawless. There are a number of reasons why you should make a switch to this software which will be highlighted later. The objective behind using this software is to upskill the interior designers and architect so that they can create outstanding designs consuming minimum time. • Google Sketchup is very easy to understand. Its user-friendly interface makes it easy for everyone to use it. • The most important feature of this software is that it saves a lot of time. 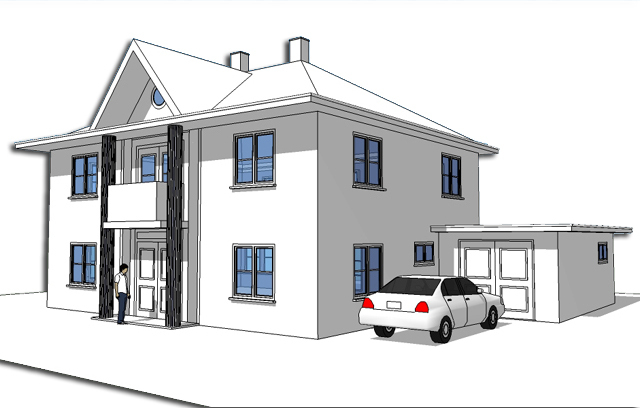 • When compared with AutoCAD and 3Ds MAX, Google SketchUp is easy to access. • You can easily spot all the editing tools in the menu bar of Google SketchUp thus making it easy to use. • SketchUp has a 3D warehouse which has myriads of readymade models which you can easily download and import it into the projects. The warehouse comes with more than 1 lac models. • With the help of this software, you can easily create an animated clip and walkthrough to make your designs more attractive and interactive. These features of Google SketchUp make this software the most sought after amongst the architects, interior designers, and engineers. So, if you too wish to upskill yourself and want to master it connect with Dream Zone or Cadd Centre Hazratganj Lucknow today.